A UFO investigator believes he may have solved one of Scotland’s great unexplained mysteries. Forestry worker Bob Taylor reported an incident 34 years ago involving an alleged alien craft and two “robot” attackers. He was left unconscious with ripped trousers in the middle of woods at Dechmont Law, near Livingston. Despite inquiries by police and ufologists, no plausible explanation has been found and the incident has remained one of Scotland’s highest profile X-Files type cases. It has featured in several TV specials and books down the years. But local businessman Phill Fenton has just published a report which he feels may hold the key to the mystery. And Phill believes the UFO he believes he saw could have been a saucer-shaped water tower nearby. 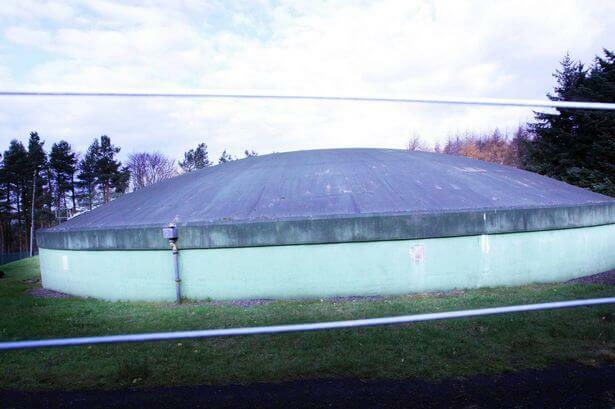 Phill, a 56-year-old sign maker from Livingston, said: “I have always been intrigued by the incident and one day I spotted the dome-shaped object and it struck me that it looked a lot like Robert Taylor’s description. He added that chemicals used in such tanks could make people experience the effects which Bob reported and the rips on his clothes matched the shape of a security fence near the tower. The report, which has been published as an Amazon e-book, suggests Bob may have suffered a mini-stroke and been exposed to harmful chemicals which left him confused and disoriented. Bob, who had a reputation for being down to earth, reported feeling overcome by a powerful odour which left him choking for breath before he fainted. He died in 2007, aged 88. Malcolm Robinson, author of the books UFO Case Files of Scotland, is the leading authority on the Livingston incident. He said of Phill’s report: “It’s a very interesting hypothesis which is very well put together. But it’s one I don’t adhere to myself.